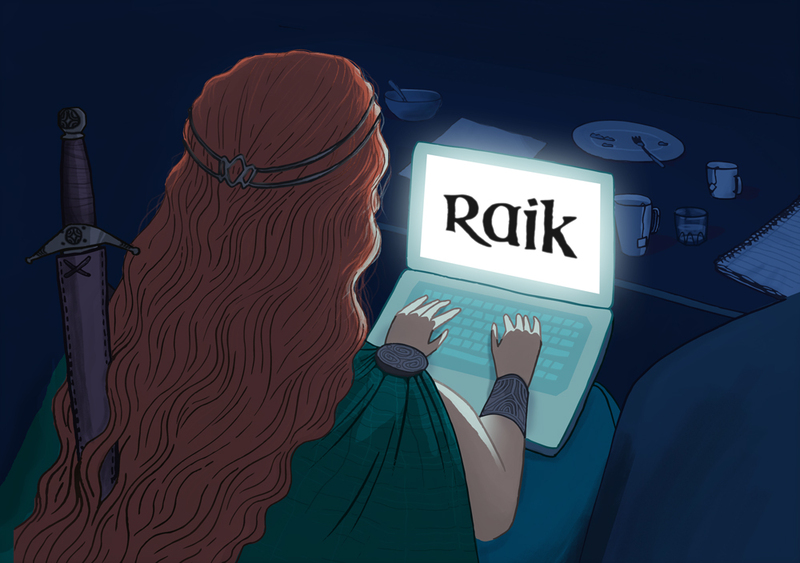 Raik is a twine game, built in a platform for hypertext story-games. 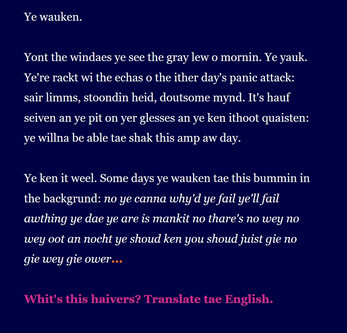 It's written in Scots, one of the languages of Scotland, with a full integrated translation into English. 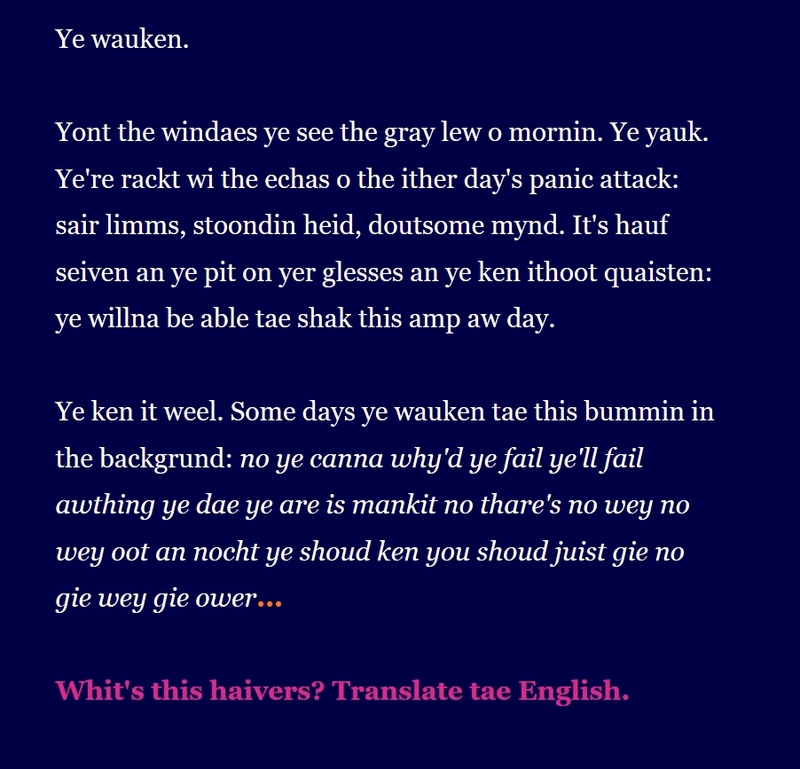 An earlier version was entered into the 2014 Interactive Fiction competition: this is a full expanded edition, twice the size, with additional features and more bad jokes about celtic fantasy and Scottish independence. Average playtime: 25 minutes for a full playthrough, 90 minutes to read everything on multiple playthroughs. Direct any thoughts, questions or bugs to aitch@harrygiles.org. This game took me quite a long time to write! I also make a living from my art: I don't have another job. And I'm really proud of it and want it to be valued. But I also know that the market value of any given piece of digital art is effectively zero, and that many of the folk who might want to play this aren't earning much money either, and that most of the economic options available to us aren't particularly palatable, and that I want you to play this more than I want to get paid. So here's my suggestion. I've set £4 as a rough price for this game based on a triangulation of how long it took me, how much I hope to sell, how experienced I am, how the art market functions, how much I think folk are willing to pay, and sheer guesswork. 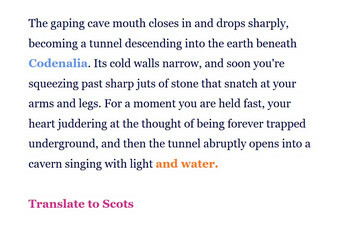 (Mostly guesswork.) If you're earning an average wage (UK: c£26k) then pay me that. If you're earning more, pay me more. If you're earning less, pay me less. If you're earning less than the Living Wage (UK: c£16k) then don't pay me anything, and I hope you enjoy the game. This system isn't policed, and if you've got a better idea of how artists should make a living (I hope you do!) then pay whatever you think is right. Alternatively, support me on Patreon from a buck a month and get access to all the work I make for no extra charge.